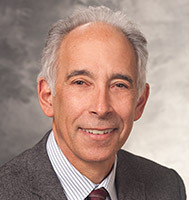 Dr. Ned Kalin earned his medical degree at Jefferson Medical College and completed his residency at University of Wisconsin Hospital and Clinics. He completed a fellowship at the National Institutes of Mental Health. Dr. Kalin is the Chair of the Department of Psychiatry. Dr. Kalin serves as chair of the UW-Madison Department of Psychiatry. He has a patient care and research focus on anxiety, and is interested in emotions and health. For the last 15 years, Dr. Kalin has hosted, with Richard Davidson, PhD, of the UW-Madison Department of Psychology, the annual Wisconsin Symposium on Emotion, which highlights progress in various research avenues in health and emotion.